Definition at line 54 of file CCopasiXMLParser.h. Definition at line 62 of file CCopasiXMLParser.h. Definition at line 361 of file ListOfModelParameterSets.cpp. Definition at line 368 of file ListOfModelParameterSets.cpp. 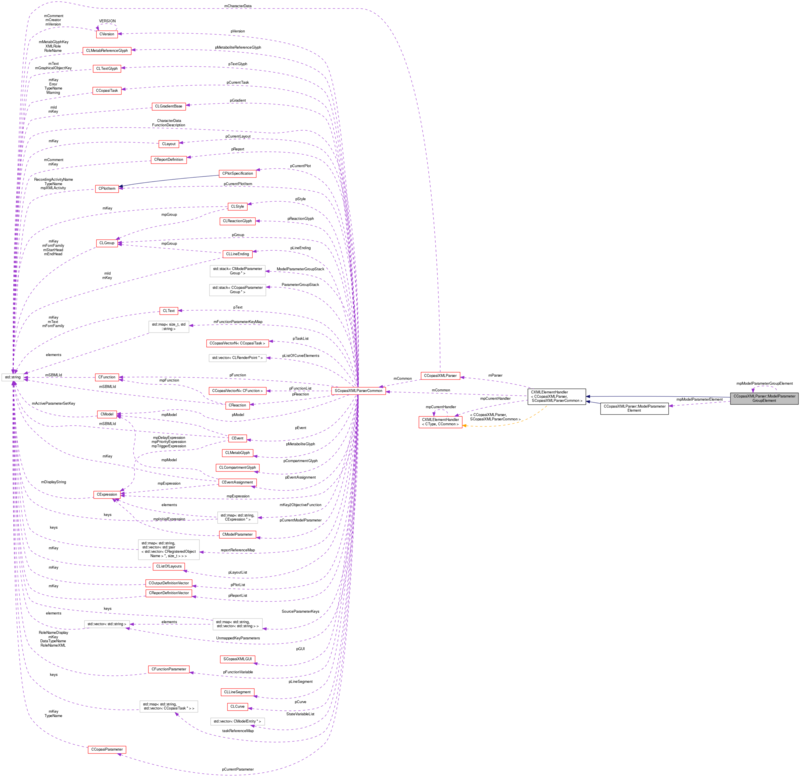 Definition at line 450 of file ListOfModelParameterSets.cpp. References CCopasiMessage::EXCEPTION, CCopasiXMLParser::mCommon, MCXML, SCopasiXMLParserCommon::ModelParameterGroupStack, CExpatTemplate< CExpat >::mParser, SCopasiXMLParserCommon::pCurrentModelParameter, START_ELEMENT, and UNKNOWN_ELEMENT. 485 // Content may be repeated therefore we set to the previous element which is ModelParameterGroup. Definition at line 374 of file ListOfModelParameterSets.cpp. 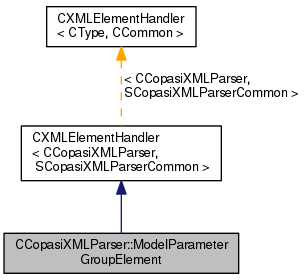 References CCopasiMessage::EXCEPTION, CModelParameter::Group, CCopasiXMLParser::mCommon, MCXML, SCopasiXMLParserCommon::ModelParameterGroupStack, CExpatTemplate< CExpat >::mParser, CModelParameter::setCN(), toEnum(), CModelParameter::TypeNames, and UNKNOWN_ELEMENT. 398 // Element specific code. Definition at line 104 of file CCopasiXMLParser.h. Definition at line 99 of file CCopasiXMLParser.h.